Sony, Microsoft and Nintendo are facing a new rival that’s been making some waves with its design concepts. And the latest Mad Box Console reveal is sure to keep fans interested in the project. While many gamers are hoping to find out more about the PS4 and Xbox One successors which are currently in development, it looks like the Mad Box could also be joining the list. 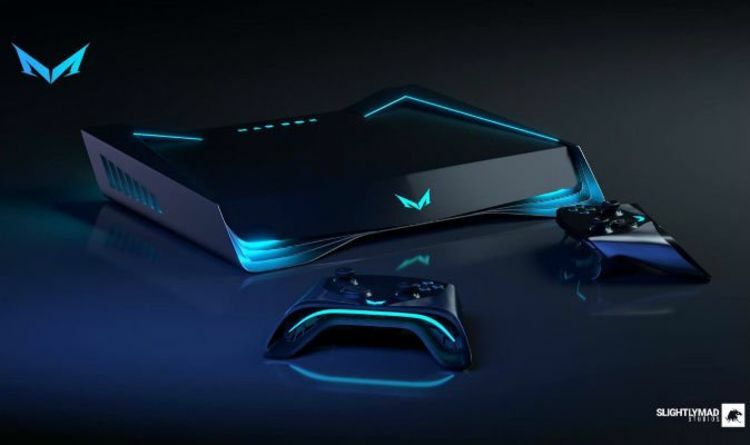 The new console has been announced by Slightly Mad Studios, who have established a fan-following based on their new console designs. Offering a promising specs sheet and VR capabilities, Slightly Mad Studios is also hoping to develop some cool-looking controllers. CEO Ian Bell has posted new images of potential designs for the new Mad Box controllers. This includes what you would expect in modern controllers, such as button arrangements and motion sticks. But it also includes some surprises too, such as the LED touch screen and precision triggers. No price point for these new designs has been shared, with the new Mad Box project still very much in the early phase of planning. But that hasn’t stopped Bell sharing some interesting ideas and features for the new console. This includes an online system that would remain free but would be supported by adverts. This would also involve credits that could be turned into real cash, with Bell adding: “I have a cunning plan. “Paid online? Free online? How about we pay you to be online? This still leaves the question of whether such an audacious new console can be launched and made into a success. However, it doesn’t appear that anything significant will be announced in 2019. The Mad Box probably won't launch for another three years but will be available to buy worldwide. A tweet posted to the official Slightly Mad Studios Twitter page reads: “What is the Mad Box? It's the most powerful console ever built... It's literally 'Mad'... You want 4k; you want VR at 60FPS? So whatever is revealed in the future by Slightly Mad Studios, it will probably be facing off against new consoles. The PS5 and Xbox Two are expected to be hitting shelves by 2020, making for an interesting new transition. It should also be noted that the Atari VCS is scheduled to be the next console launched, with a current a 2019 release scheduled in place. So perhaps the Mad Box will be facing an even more competitive market in the years to come.